The following is the second part of an interview with Fred Travis, Ph.D., Director of the Center for Brain, Consciousness, and Cognition at Maharishi University of Management. Dr. Travis is the author of more than 50 research papers that investigate the relation between brain wave patterns, conscious processes, states of consciousness, and meditation practice. He regularly teaches undergraduate and graduate courses, gives seminars, and speaks at conferences around the world on brain development. Does the TM technique work with people who have learning challenges such as ADHD (attention deficit/hyperactivity disorder)? Yes, we found that the TM technique had a positive effect on children diagnosed with ADHD in a 2011 study published in Mind & Brain, The Journal of Psychiatry. Dr. Sarina Grosswald and Dr. William Stixrud were coauthors on this research. In this study, 18 children aged 10-14 years, who attended a special private school for learning disorders, were randomly assigned to either learn the TM technique immediately or to continue their normal academic activities and learn after three months. Three months of TM practice significantly affected brain functioning and performance on a test of letter fluency. 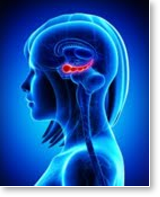 ADHD is marked by a pattern of brain waves in which there is high theta (4-8 Hz) EEG activity. The brain naturally generates theta activity to block out irrelevant information during any task, for instance, during memory tasks. Children with ADHD have higher levels of theta activity than normal, which has the effect of blocking out relevant as well as irrelevant activity. If you call their name, they do not respond because they don’t hear it. Also, children with ADHD have too little of a second frequency, called beta activity, which is involved in thinking and executive functioning. A child with ADHD has too much theta and too little beta. Their brain is blocking things out, and it’s hard for them to focus. The ratio of theta to beta activity (dividing one by the other) is used to quantify the severity of ADHD symptoms. At pretest, the theta/beta ratios of all of the students were three times above the normal range. Three months later, the theta/beta ratio of the TM group moved closer to the normal range. And after six months of practice, the TM group was at the upper end of normal brain functioning. 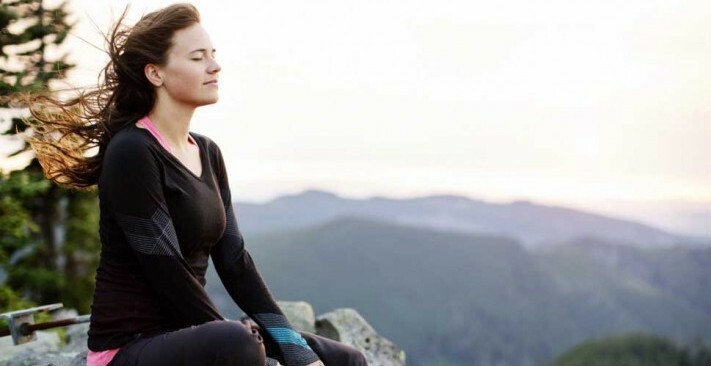 In just six months, the brain functioning of the meditating students had moved from being solidly within clinical ADHD symptoms to just within normal brain functioning. What that means in practical terms is that they will be able to start self-regulating both physical and mental impulses. So, for example, they’ll be able to remember to raise their hand before speaking. We also looked at a second EEG measure, called coherence, which reflects how the different parts of the brain are working together. From the baseline to six-month posttest, we saw significant increases in coherence in all parts of the brain in four frequency bands: theta (focused inner attention), alpha (sense of self), beta (processing), and gamma (focused outer attention). Higher coherence in all frequencies implies that the parts of the brain involved in these different processes were coordinated together—the children could regulate their behavior. The brain is ceasing to function as isolated modules and is beginning to function more as a whole. Greater integration of brain functioning was reflected in their cognitive functioning. The TM group also improved in letter fluency, which measures the ability of the frontal lobes to generate many new ideas. Our brain is constantly changing; 70% of synaptic connections change each day. 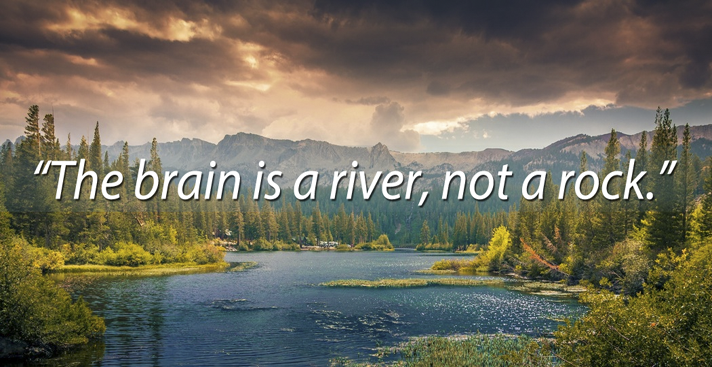 The brain is a river, not a rock. Is there anything else that we should know about how the brain functions to help us live a more successful, stress-free life? Everyone should know that every experience changes the brain. Research shows that 70% of brain connections change every single day. This is called neuroplasticity. On the cellular level, when two neurons fire together they get wired together. When two neurons fire, proteins in the cells support growth of more input and output fibers, the axons get larger in diameter, and the two cells become primed to fire again, which is called long-term potentiation. It’s a constant cortical dance. Our brain is a river and not a rock. Every time you experience something in your life, it creates a pattern of activation over the brain that gives us experience. At the same time, it’s leaving its mark in the connections between neurons. Maharishi has said that what we put our attention on grows stronger in our life. This is happening on the material level of brain connections. For instance, in violin players, because the left hand is responsible for playing the notes, the part of the brain that corresponds to the left hand is more complex than the part of the brain that corresponds to the right hand, which is holding the bow. Another study looked at expert taxicab drivers in London and found bigger brain structures underlying the thinking processes that generated routes, identified landmarks, and determined how to change a route when road construction blocked the highway. If we are constantly under stress, then the part of the brain that triggers the fight-or-flight response grows thicker, and we find ourselves reacting to small stresses as if they are life-threatening. But—and this is the take-home point—if we add the experience of transcending to our daily routine, then brain connections that support the experience of pure consciousness are strengthened. This is the reality of growth to enlightenment. It happens every day with every session of the Transcendental Meditation technique.